Marketing and promotions 101: if you’re pushing your retail brand, labeling your products is a must. Of course, you sell other brand merchandise as well through partnerships and affiliations, but to really supercharge your revenue and visibility, having your own product line helps in volumes. 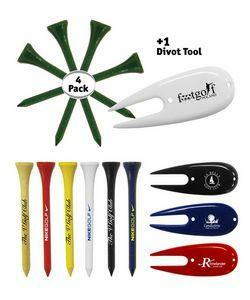 So consider the sport golf: what’s the one thing you need to brand the most? 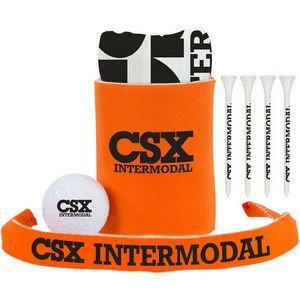 How about custom branded golf kits? They’re a necessity. Think about it. If you’re targeting a niche, such as golf, there are some necessities. These necessities aren’t necessarily already heavily branded by some of the best labels in the business. One of those necessities are golf kits. So why not tackle that particular sub-niche, own it, dominate it — and best of all, offer it? Custom branded golf kits don’t just give your customers what they need to play the game — they let them know that you offer them competitively! Exclusively. And most likely better than anyone else. BRAVA Marketing sees that the seasons are coming. In particular, the golf season’s right around the corner. And you’ll be amazed at the kind of designs we have. Check them out yourself, find the design you want, get your logo or brand name set up — and we take care of the rest. You can do that right here! We’ll set you up with your products at the competitive price — mark them up, merchandise them, sell them — and make a profit. It’s an exact science, and BRAVA Marketing has the in for you to become a retail guru in this particular vertical, so don’t hesitate to make it happen for you, your business, your country club, and your customers. Don’t forget the big dog while you’re at it! Celebrities play golf all the time: Donald Trump, Justin Timberlake, Michael Jordan. The list goes on and on. But part of the bonus of branding yourself as a household name is imprinting that based on where publicity’s following you. Such is the case for golf outings at some of the best country clubs, and when they have celebrities show up, it’s bonus if that celebrity has their own custom golf kits to not only use, but pass around — or even have the country club sell to members. For starters, you have to love golf. And you love publicity as well. Put both together, and that’s a winning marketing campaign, and the best part of all? You get to play golf as well. Arguably the coolest, easiest, healthiest game in Spring and Summer you’ll ever find. And, honestly, you don’t even have to be that great at the game! The point of having your own custom golf kit is to brand the game and yourself. Plus you get to use the golf kit over and over again. That’s bonus. That’s value. That allows the country club to see you not just as a celebrity, or a golfer — but as a brand. The good news for you is that BRAVA Marketing has everything you need. Right here. An enormous number of designs and setups for you to choose from. All you need to do is pick the one you want, set up your brand name or logo for custom golf kits — and you’re good to go. Contact us right now and get started. Listen: you don’t have to be a nobody when playing the game. Remember: you’re definitely somebody! Now go out there and get that hole in one. Any smart sports retail marketer would know that tapping into influencers — athletes, celebrities, famous sports team, collegiate — boosts revenue. Since we’re heading closer and closer to Spring, it’s obvious: the weather’s getting better. Lots of aficionados are polishing up their big dogs and putters to head out to the greens. 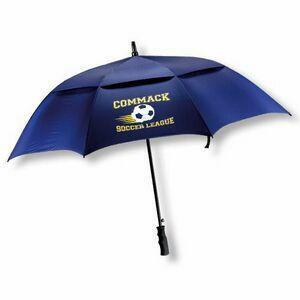 Without a doubt, you can place your logo printed golf umbrellas, clubs, and tees. Customers flood through your doors like ravenous drivers and caddies looking for blood. But don’t just put your own logo on them (although that’s the first thing you should do). Settle up with some of those celebrities — like Tiger Woods, for instance — and get some of your product custom printed with his brand as well! You wouldn’t even begin to imagine just the kind of visibility and impression you make with your retail store doing that. That’s why BRAVA Marketing has the goods and tactics for maximizing your brand through custom-print product strategy. We have the assortment of products, such as these logo printed golf umbrellas to lure the everyday golfer in. Think Jack Nicklaus and Arnold Palmer. Setting up partnerships with your local country clubs welcomes in some cross-promotional bonus for you and those brands as well. Think about how you can easily take your own house brand and print some of the best logos and names for the sake of visibility and promotion. It speaks dollar signs in droves. Specifically on these logo printed golf umbrellas, actually. You can review some other products as well to fill for your retail store, but when focusing on a niche — specifically Spring sports — this is the place to be. Contact us when you’ve found a design you like! That’s an eagle for you. You’ve heard of that kind of stuff before, right? The advertising department and the customer service department decide to have their annual baseball game, and it’s always a ton of fun. Sure, there’s some competitive-ness going on. But overall, the idea of having company baseball games, or softball games, or even golf, is to increase camaraderie and get people excited about the others they work with! 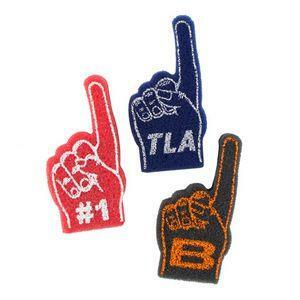 So it’s easy to think that branded foam novelties go a long way in making it even more fun! And they can be branded in any possible way. Either with names. Or the company name. Maybe even the department name. Or even the name the department comes up with for fun! A lot of creativity goes into it, supporting employee morale, and reminding every worker that it’s not just about work — it can also be about play. The great thing about BRAVA Marketing is you can get in bulk these foam novelties, custom printed to your liking, for extremely cheap. And that says something. When you’re looking at under a couple bucks for more than enough to cover the hands of every spectator for company baseball games each year, when you think about what that does to the morale of your workers, and how much money they’ll make the company…. Let’s just say it’s worth it! It’s worth it to jazz your employees up more and get them excited about where they work. BRAVA Marketing says so. Peruse the many designs we have, in fact, please. We’ve definitely got something that’ll suit your style. And when you’ve found the ideal design, CONTACT US! Because you know the department on floor #2 deserves to get a beat-down!